How Many Calories Are in One Cheese Stick? A ball of fresh mozzarella on a cutting board. 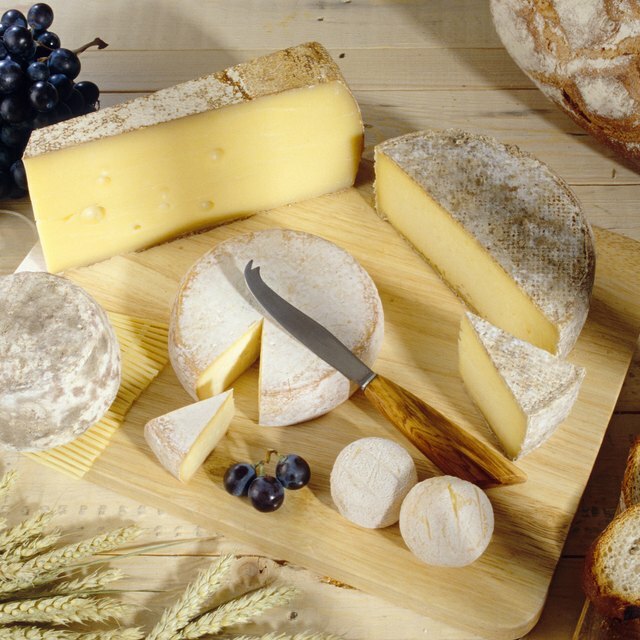 1 Which Cheeses Have the Least Fat? 2 How Much Fat Is in Feta Cheese? 3 How Many Calories Are in One Cheese Stick? You've probably eaten mozzarella cheese many times. It's the cheese most commonly used on pizza, in a caprese salad, or for fried cheese sticks. The International Dairy Foods Association estimates that in 2011, the average American consumed more than 11 pounds of mozzarella. Because of the high demand for this cheese, you can typically find rolls and balls of fresh mozzarella in most grocery store delis. Just be aware that mozzarella is high in calories, so you should watch your portion size and consume this cheese in moderation. 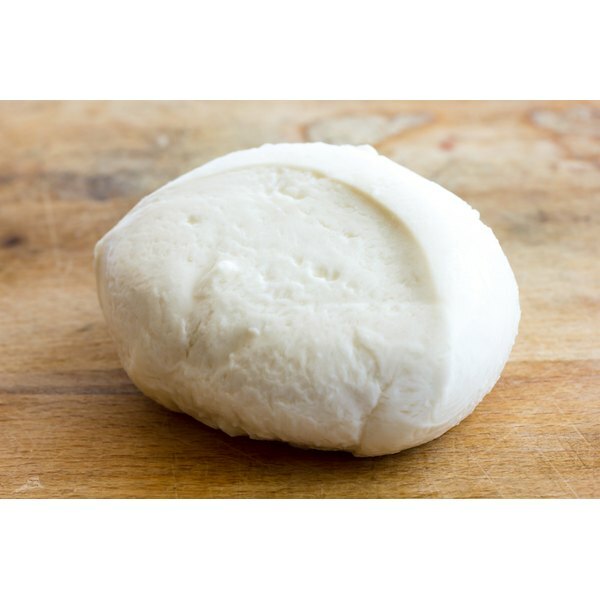 You can find several varieties of fresh mozzarella in the store, including cheese made from whole-fat or part-skim milk. Depending on which one you choose, the calorie count can vary. One ounce of fresh whole-milk mozzarella has 85 calories, 6.29 grams of protein and 6.34 grams of total fat. The same size serving of mozzarella made from part-skim milk has 72 calories, 6.88 grams of protein and 4.5 grams of total fat. If you enjoy eating fresh mozzarella but are trying to watch both your fat consumption and your calorie intake, opting for the part-skim variety is the way to go. A licensed dietitian/nutritionist, Christina Fitzgerald began writing professionally in 2005. She is also a registered dietitian with work published in "Food Product Design Magazine" and the "Daily Herald". Fitzgerald holds a Bachelor of Science in nutrition from the University of Illinois at Urbana-Champaign, as well as a Master of Science in nutrition from the University of North Florida.